Yes, this is the year 2018. We haven’t traveled back in time to cover World War II internment camps. But the U.S. private prison system is approaching just that – here and now. We recently reported on the horrific living conditions of the East Mississippi Correctional Facility (“EMCF”), run by private prison company Management and Training Corporation (“MTC”). Rather than fix the dangerous deficiencies, violence, and abuse that U.S. private prison inmates face daily, the federal government wants to pile in more prisoners, as many as possible. March 2018 audits cited an Arizona private prison facility for numerous medical care deficiencies, but facility owner CoreCivic plans to fly in 1,200 inmates from Puerto Rico for transfer into the Arizona facility on August 25. In fact, CoreCivic and the Department of Corrections and Rehabilitation (“DCR”) have a deal to bring a total of 3,200 Puerto Rican inmates to the U.S. mainland within the next five years. President Trump’s family separation policy is going to help fill even more spots, requiring over 30,000 beds available at all times to house undocumented immigrants and their children indefinitely. If you’re wondering why the rush to fill these facilities - and build more – it’s because in the private prison system, inmates equal profits. Tragically, when money is the motivator, quality inmate care falls by the wayside. Started back in the 1980’s to alleviate overcrowding, today’s private prisons have become a $5 billion business. Led by companies CoreCivic and GEO Group, private prisons house around 20% of all federal inmates, including around 75% of ICE-detained immigrants. CoreCivic reported a total Q2 2018 revenue of $449.9 million. CoreCivic and GEO Group are Real Estate Investment Trusts (“REITs”). If they can maintain a certain level of real estate assets, they are exempt from corporate taxation. By owning and managing prison facilities, these companies earn six times more per prisoner. And private prison companies aren’t the only ones profiting from imprisonment numbers. An April 2018 report listed over 3,100 other companies making money off America’s private prison system, including Bank of America, Berkshire Hathaway, 3M, Houghton Mifflin Harcourt, and CenturyLink. What’s the inevitable result of a prison system run by big corporations? A dangerous environment plagued with violence, neglect, and abuse. The ultimate goal of the public prison system is to rehabilitate inmates and safeguard society. On the other hand, private prison company interests lie in pleasing investors. Keeping prisoners coming back again and again only pulls in more profits. Rehabilitation just isn’t a good idea. What corporate prisons are looking for is decreased staff numbers, low employee pay, minimal staff training, and the least expensive medical care, environmental services and enrichment activities possible. Rather than hire qualified guards in functional numbers, contract prisons install high-tech surveillance systems and leave the inmates to fend for themselves. Humane treatment of inmates simply costs too much. Of course, to make money, private prison companies need inmates. On July 31, DCR awarded CoreCivic a more than $10 million contract to transport Puerto Rican inmates to its private U.S. prisons. 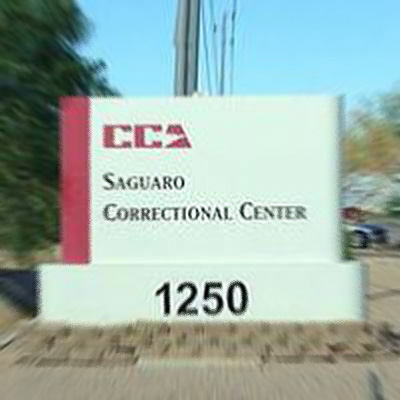 Transfers of 1,200 inmates to Arizona’s La Palma Correctional Center are set to begin August 25, with goals to relocate 3,200 prisoners into US CoreCivic facilities over the next five years. Primary physicians don’t attend to inmates within an appropriate period of time after a nurse referral. CoreCivic has also agreed to let the U.S. Immigration and Customs Enforcement Service house over 1,000 detainees at Arizona’s La Palma Correctional Center, profiting off of President Trump’s recent family separation executive order. Private prisons are no stranger to housing immigrants. Hundreds of immigrants have died in these facilities due to inadequate medical care and premature deaths and ICE’s poor enforcement of contract prison agreements. As private prisons, investors and the government continue to benefit financially from locking people up, it’s important to remember that U.S. prisoners still have rights. American prisons must respect each inmates’ civil rights, including the rights of convicted felons to reform their behaviors in a safe and healthy environment. If you or a family member have suffered inmate violence, abuse or neglect in a private prison run by CoreCivic, GEO Group or other company, you have the right to sue for financial compensation. 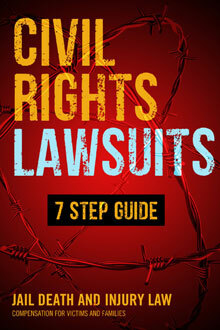 Call us at 866.836.4684 for a free and confidential discussion of your rights and options.